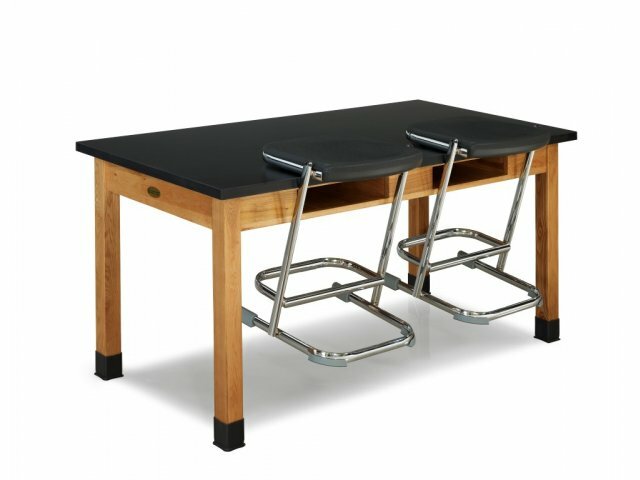 These heavy–duty art and lab stools feature a great design that makes them exceptionally stable. The U–shaped base presents a large area that is in contact with the floor, which helps prevent tipping. 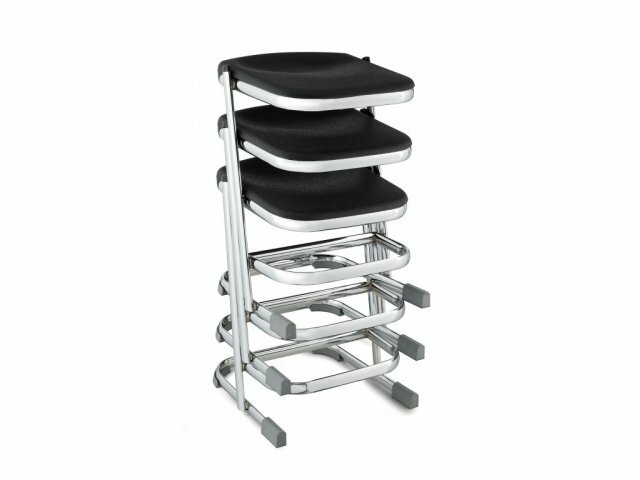 The contoured, flexible, blow–molded seat provides ergonomic comfort. 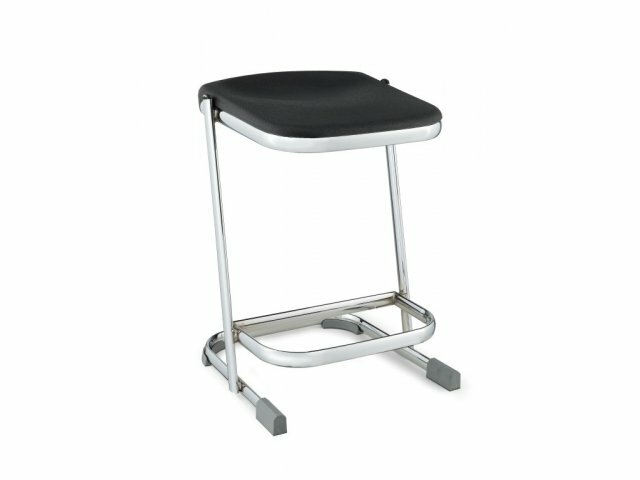 Stores Compactly: These stools can be stacked up to three high. 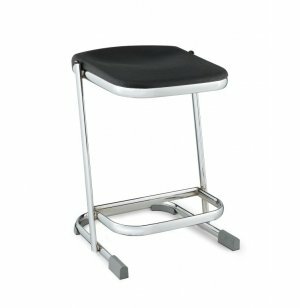 Extra Strong: Made from heavy–duty, 12–gauge steel frame, these stools will last for many years even with heavy daily use. Maximum Stability: Unique U-shaped base provides large contact area with floor. Ergonomic Comfort: Contoured, flexible, blow–molded seat. Protects Floors: Permanently–attached floor glides protect all types of floors including vinyl composite tile. Convenient: Nest stools on tabletops for easier access to floors when cleaning.